1.1 UNIT 13 DAY 1 - Monody and polyphony. 1.2 UNIT 13 DAY 2 - Melody and accompaniment. 1.3 UNIT 13 DAY 3 - Chords from the scale. 1.4 UNIT 13 DAY 4 - Chords of Modality in Basic Chord Progressions. UNIT 13 DAY 1 - Monody and polyphony. ① Basic Musical texture Classification. ② Relationship of Texture and Musical ensambles. It is the reason why groups have various instruments with particular purposes in the general composition for which each voice is responsible of. There are two types of textures: Monody and Polyphony. Monody is a single melody and all the musicians play the same notes. 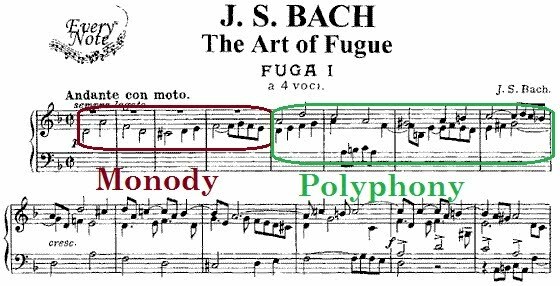 Polyphony consists of several simultaneous melodies sounding at the same time. Texture is at the root of the musical groups configurations, as these ensembles have various instruments with a particular function, each with a distinctive voice, an specific melody. Descending Tetrads with in Thirds. UNIT 13 DAY 2 - Melody and accompaniment. ① Diference between melody and harmonic accompaniment. The melody is a succession of notes, while the harmonic accompaniment is the sound of a particular time-scape. ② Difference between polyphonic and melodic instruments. Polyphonic instruments are able to produce several notes at the same time while melodic instruments produce only one note at a time. A melody is a series of notes. Harmonic accompaniment is the sound landscape of a particular time in a Musical work. Let make a simile to understand this better. Consider that if Music is a drawing on a sheet of paper, we can see the melody as a horizontal line of one dimension and the accompaniment would be all color in two dimensions surrounding the melodic line. 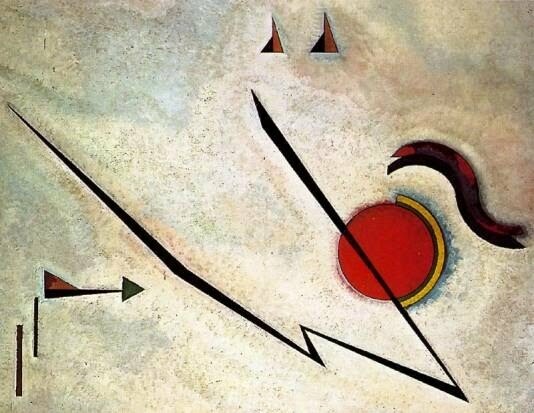 The line is the Monodic melody and the colors surrounding it are the polyphonic melodies. A polyphonic instrument is capable of producing several notes simultaneously. A melodic instrument, however, is only capable of producing one at a time. 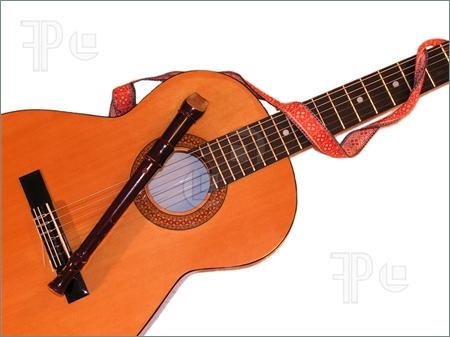 A recorder is a melodic (monophonic) instrument, while a guitar is a polyphonic instrument. UNIT 13 DAY 3 - Chords from the scale. ① What is a Chord? A Chord is produced when there are several notes that create a sound-scape, normally played simultaneously, but also when they are performed consecutively, since this notes create a sense of unity. ② How many major, minor and semi-diminished chord the basic harmonic complex creates? Three major Chors, three minor chords and one semi-diminished. ③ Where can we find the major chords? In the first (Tonic), fourth (subdominant) and fifth (dominant). A chord is a harmony where at the same time (simultaneously) we can hear notes of different pitch. In a Music sheet it is written in vertical and corresponds to the harmonic accompaniment. 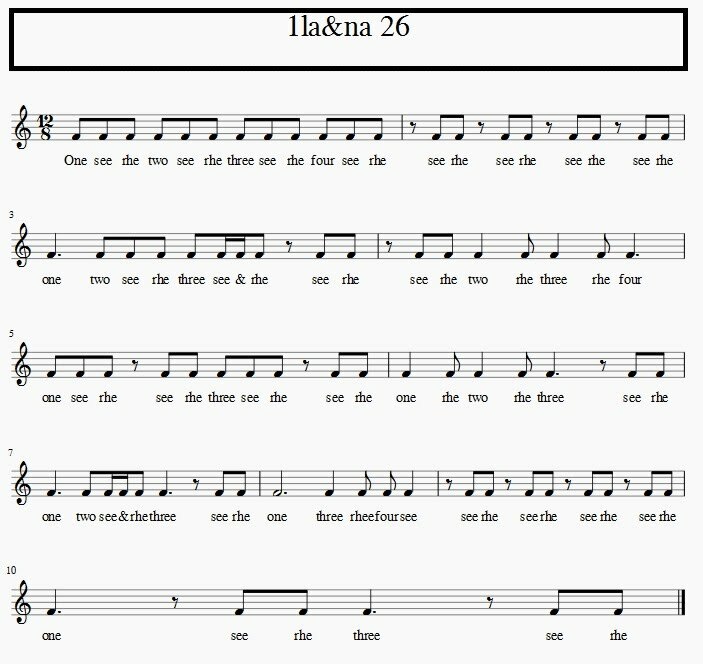 Similarly, the melody is written as consecutive horizontal notes. A chord can also be 'broken'. This is achieved when a chord, for example, consisting of five notes, is played in two parts (first four, then one). But it still have the feeling of unity. Using the notes of the C major scale as a starting point, we can create seven basic chords that can be shuffled to compose melodies and basic chord progressions within the major key. 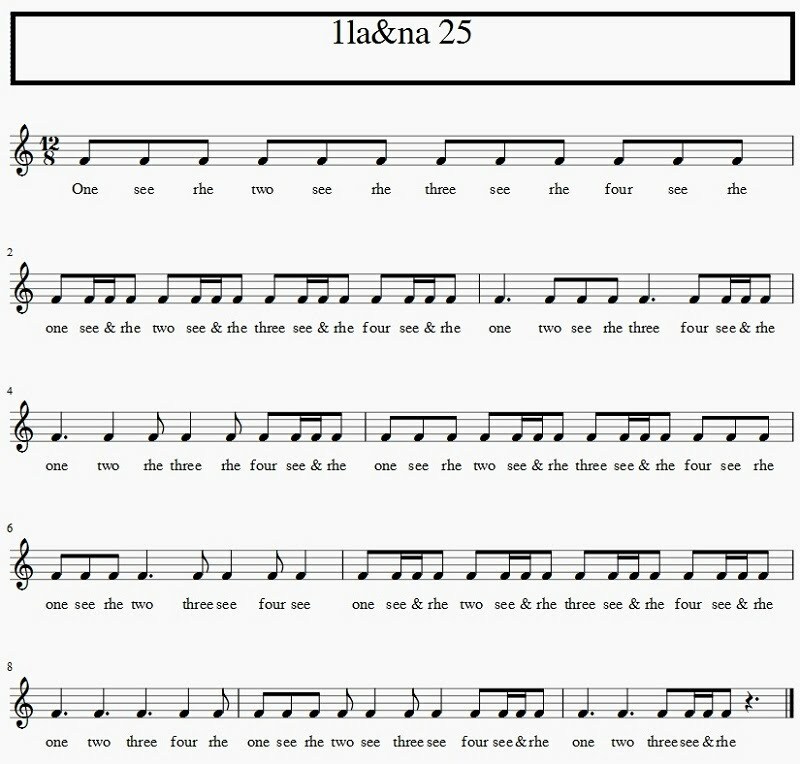 Pay attention to Hanon number 24. This harmonic complex has three major chords, three minor chords and a semi-diminished chord. Major chords can be found in grades I, IV and V. The minor chords in grades II, III and VI. The semi-diminished chord is in grade VII. Ascending Tetrads with Suspende Fourth. UNIT 13 DAY 4 - Chords of Modality in Basic Chord Progressions. ① How can we tell apart a chord with an specific modality. By taking into account the extended notes added to the basic Tetrad. The basic progressions are varitions from the symmetric structure: I-V-V-I. For example I-IV-V-I or I-vi-IV-V-I. The previous day, we discussed how chords come out from the basic Major scale. 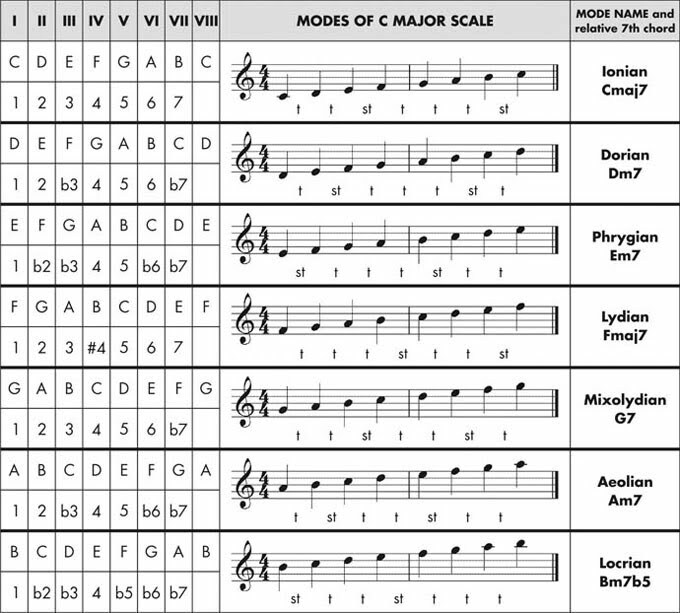 Therefore, chords can be constructed using any imaginable scale, including those of the modalities. That's why we have special chords for Blues, Jazz, Flamenco, Bossa Nova and so on. And they are usually distinguished by the extentions added to the basic Tetrad. 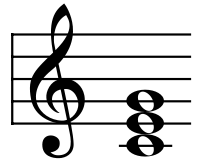 In the bass clef is the C major Triad and in the treble clef there are the extended notes. Let us study some basic chord progressions. One of the easiest has only two chords: I-V-V-I (Tonic-Dominant-Dominant-Tonic). It is fair easy to see that it has a symmetric structure and it appears in a lot of compositions, from Folk Music to Classical Music. Another common structure of chord progression is the one that uses the I-IV-V-I (Tonic-Subdominants-Dominant-Tonic) and varies it in several ways. It is almost the same as the symmetric structures we have seen but adds a little colour by using the intermediate area of Sudominant. A good example of this is the Blues Bar. More variations: I-vi-IV-V-I (Tonic-Submediant-Subdominant-Dominant-Tonic). 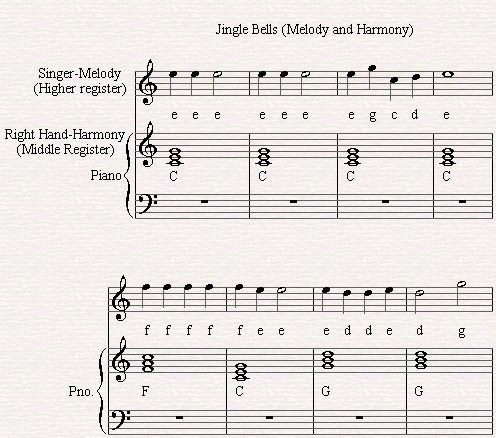 Again, we are adding more chords to the Symmetric version. This time, instead of the second chord (Dominant), we have Submediant plus Subdominant chords. This progressions are so common that there is this very popular video that shows how it is intensively used and abused in Popular Music (I - V - vi - IV). As you can see, there are a lot of possibilities, but we are going to finish this unit studying an intervalic progression, very common in the Baroque Era: vi-ii-V-I-IV-vii-III7-iv.